Slush, snow, rain, sleet. Winter weather is unpredicatble, to say the least. Cold-weather gear has to be able to handle whatever the season throws at it. 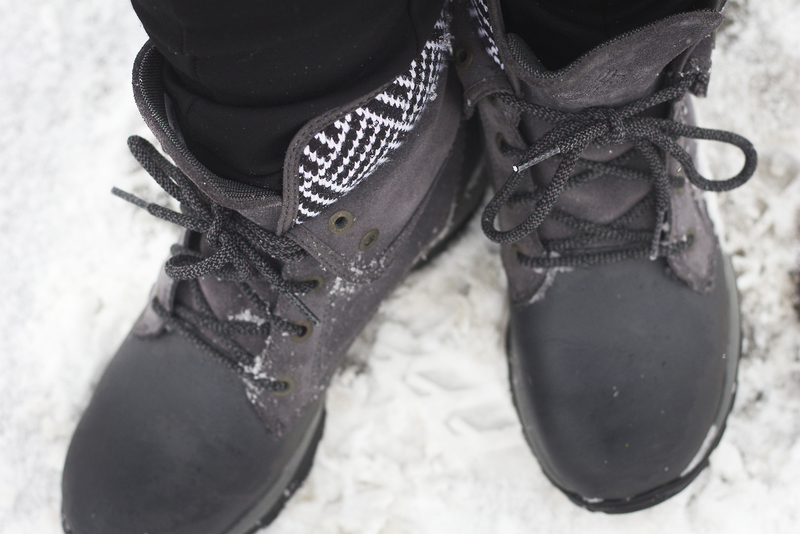 Can Geo staff tested the new suite of lightweight women's boots from Columbia to see if these stylish boots held up to the messy winter weather. These heavy-duty but lightweight boots are versatile — great for walking through deep snow trails and running for a bus. Their thermal reflective lining and insulating technology, providing one of the highest levels of heat retention per gram, and the Omni-Grip non-marking rubber outsoles meant I stayed warm and safe on those cold, icy mornings. The boots are waterproof and breathable helping me easily transition from slippery sidewalks to snowy trails, and will carry me through the slushy mess as spring nears. The boot’s colourful laces are not only stylish but also allowed me to easily adjust them around my calves. However, since there is no zipper, they were a little difficult to slip on and off. These boots are offered in four fun colour combinations: black/sea salt, shark/bright plum, cool grey/laser red and dark mirage and spicy. Columbia’s Loveland Omni-Heat boots are warm, incredibly light, stylish and versatile. Although they are not easy to slip on and off, they are perfect for anyone who is looking for a comfortable winter boot to help them embrace winter’s unpredictable weather. I don’t know about you, but nothing ruins my enjoyment of a winter day faster or more completely than having wet feet, so the biggest plus with this boot is that, true to its claim, it’s actually waterproof. The durable coated leather and suede exterior and seam-sealed interior membrane kept my socks completely dry even while slogging through ankle-deep snow in December and dodging puddles during a January thaw. 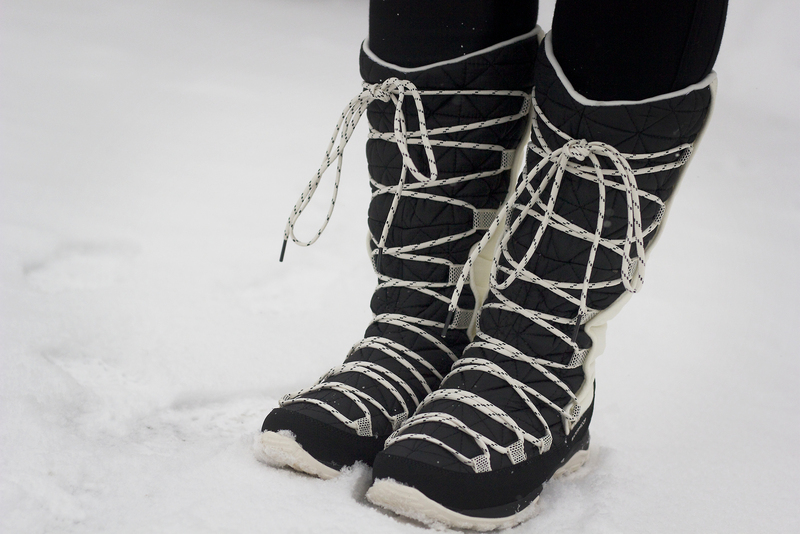 The Omni-Grip rubber sole provides excellent traction on packed snow. One important note: the boot is not lined, so I wouldn’t recommend wearing it in temperatures below about -5 C unless you love the feeling of numb toes. I have high insteps, so I found these boots a bit constricting in my usual size, and because the construction is so solid, the fit does not relax even with regular wear. This is obviously a good thing when you’re looking for a boot that won’t fall apart at the end of a season, but I’d recommend going a half or even full size up from what you’d normally wear to maintain freedom of movement and accommodate thick socks. This is a cute boot that doesn’t look or feel too heavy and bulky and performs true to its specifications. Plan on wearing them well into the spring to protect your feet from muddy trails and slushy sidewalks. I love these boots. Having assumed that big, clunky, albeit warm Sorels were the only way to survive a snowy Ottawa winter, these lightweight and sleek boots took me by surprise. With 200 grams of insulation, they are plenty warm and easily handle -20 C weather (they are cold rated to -32 C). Despite their lace-up style which, frankly, I was concerned about, they do a great job at keeping the water and slush out thanks to a waterproof synthetic upper and an interior comprised of a waterproof breathable seam-sealed membrane and a reflective lining. Ottawa has plenty of ice in the winter, but the non-marking traction rubber outsole handled slippery surfaces quite well. When I first tried these on, I was blown away by how comfortable the memory foam cushion felt on my feet. Unlike other winter boots, which can be difficult to drive in, these are so streamlined that I felt like I was wearing cozy faux-fur lined running shoes (incredibly warm, waterproof running shoes, that is). Though the lace-up detail is stylish, it was difficult to pull these boots on, unless I unlaced them each time (I didn’t). This specific style only comes in black, though Columbia offers other variations on the Heavenly lace up boot including a brown option with knitted flourishes, a black leather option and a dusty blue organza option with red detailing. These boots are stylish and can handle whatever chilly or wet winter weather is thrown at them. That makes them a winner in my books.